Is Macquarie Infrastructure Corp (MIC) a Good Investment Right Now? 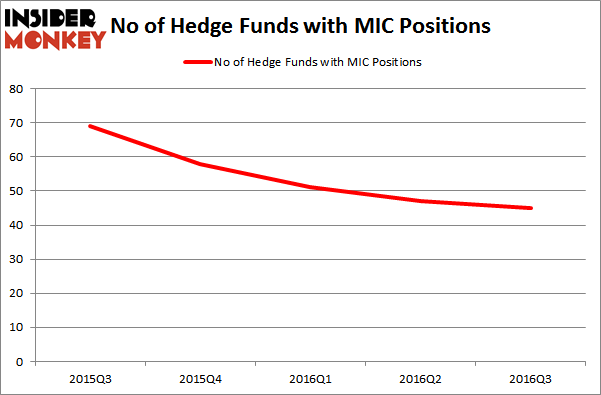 Hedge funds are not perfect. They have their bad picks just like everyone else. Valeant, a stock hedge funds have loved, lost 79% during the last 12 months ending in November 21. Although hedge funds are not perfect, their consensus picks do deliver solid returns, however. Our data show the top 30 mid-cap stocks among the best performing hedge funds yielded an average return of 18% in the same time period, vs. a gain of 7.6% for the S&P 500 Index. Because hedge funds have a lot of resources and their consensus picks do well, we pay attention to what they think. In this article, we analyze what the elite funds think of Macquarie Infrastructure Corp (NYSE:MIC). 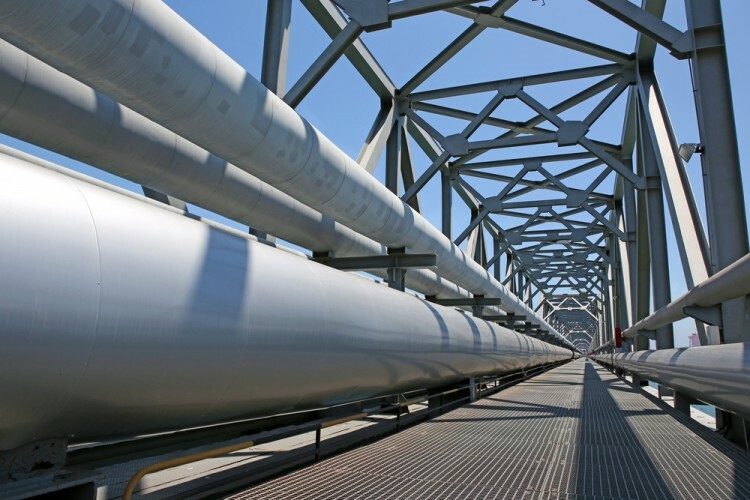 We should mention that the company registered a slight decrease in enthusiasm from smart money, as the number of funds from our database long Macquarie Infrastructure declined to 45 from 47 during the third quarter. However, the level and the change in hedge fund popularity aren’t the only variables you need to analyze to decipher hedge funds’ perspectives. A stock may witness a boost in popularity but it may still be less popular than similarly priced stocks. That’s why at the end of this article we will examine companies such as United Rentals, Inc. (NYSE:URI), STERIS Corp (NYSE:STE), and Michaels Companies Inc (NASDAQ:MIK) to gather more data points. How are hedge funds trading Macquarie Infrastructure Corp (NYSE:MIC)? A total of 45 investors tracked by Insider Monkey were long Macquarie Infrastructure Corp, which represents a decline of 4% from the previous quarter, the 4th-straight quarter with a decline in hedge fund ownership. With hedgies’ capital changing hands, there exists an “upper tier” of noteworthy hedge fund managers who were increasing their stakes meaningfully (or already accumulated large positions). According to Insider Monkey’s hedge fund database, Marc Lisker, Glenn Fuhrman and John Phelan’s MSDC Management has the largest position in Macquarie Infrastructure Corp (NYSE:MIC), worth close to $192 million, corresponding to 15.5% of its total 13F portfolio. The second most bullish fund manager is Joshua Kaufman and Craig Nerenberg of Brenner West Capital Partners, with a $160.5 million position; 14.3% of its 13F portfolio is allocated to the stock. Some other professional money managers that hold long positions contain Bernard Selz’s Selz Capital, Robert Boucai’s Newbrook Capital Advisors, and Dmitry Balyasny’s Balyasny Asset Management. 5 Micro-cap Stocks Billionaires Love The Most 5 Stocks Hedge Funds Are Betting Against Insiders Five Dow Jones Stocks That Can Outperform The Market Constellium NV (CSTM): This Metric Is Giving A Huge Buy Signal The Big Short’s Michael Burry Reveals His New Stock Picks Is Becton Dickinson and Co (BDX) A Good Stock To Buy Right Now?